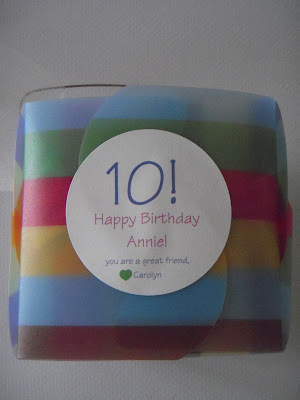 One of my daughter's best friends had her 10th birthday party today and because she just had her ears pierced we got her earrings. Due to the small size of the box we decided to forgo the usual wrapping paper and put the earring box in this cute take-out container. We popped a personalized round sticker on the top and tied it with tulle and it was ready to go. 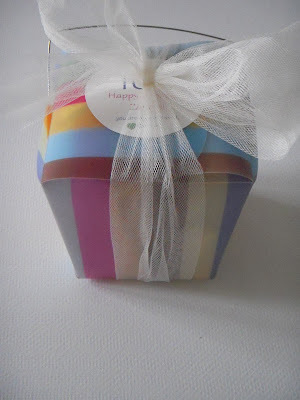 Cute, simple, fun to give and no fighting with the roll of wrapping paper or finding the tape and matching ribbon! what a great idea!! SOO cute!! Love your blog!